How are you doing?! 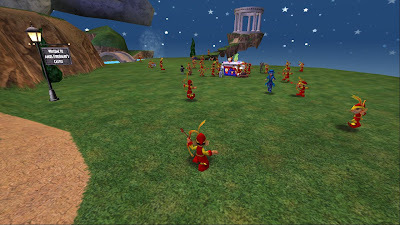 I haven't had a chance to blog about Wizard101 UK in awhile. I hope you all are having fun in the new world Zafaria! I would also like to wish you good luck on the quest where you have to collect. I am sure you know by now which one I am talking about.. Anyways.. Lol, time for the Myth School Celebration blog post! I didn't get to stay on the game too long, but I did have a chance to take a few pictures of the celebration! 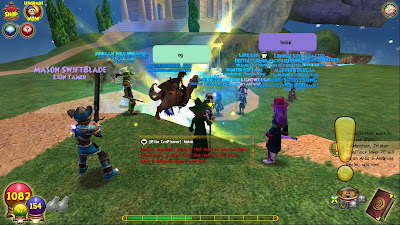 It was a lot of fun :) When I was online we had a chance to play tag (Tag- from the US server if anyone from Wizard101 US is reading.) I brought my life character to the myth school celebration, If I had a myth wizard I would have brought him to it! I am glad I did see a few myth wizards out there to show how great the myth school is. I am very glad Wizard101 UK has events like this. It is very fun getting to know more wizards out there in the Spiral! 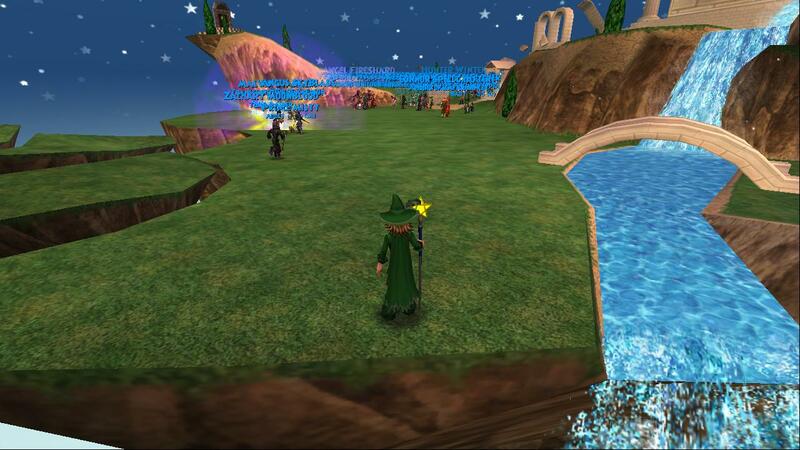 View of the wizards at the myth school celebration from far away! I would like to thank all of the game team members for putting together yet another fun event! Thanks you so much for being a great team :) I am ready for the next event! Hopefully I can make the next event too. I missed the Game team meet and greet last time. I hope to see you around the Spiral everyone!